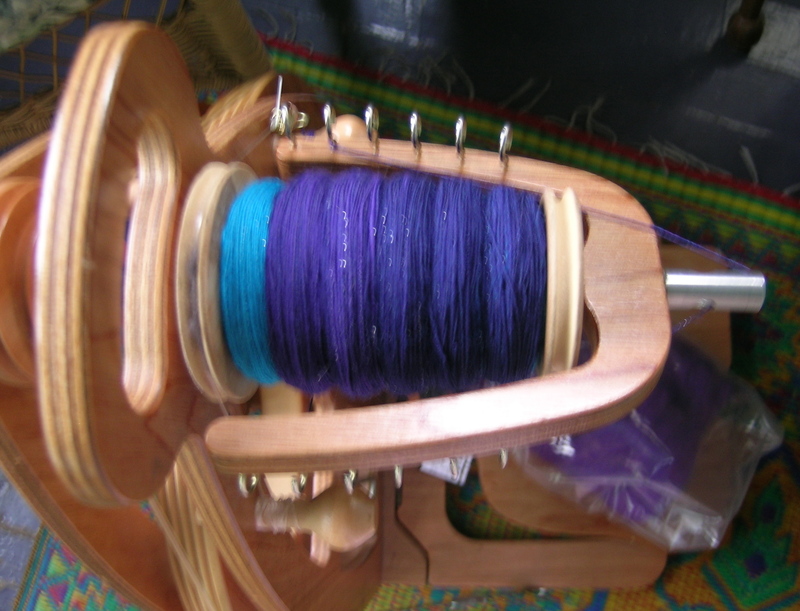 I am almost done spinning the gradient bump from Loop. I am going to try leaving this as a single and “fulling” it, which if I understand correctly, really means letting the fibers in the single strand felt to each other, and then the twist relaxes itself. Seems like the advice I am reading has you let the singles rest on the bobbin for a few days. And, I have started a new pair of socks from the CookieA sock club, Nanaimo. When I saw the yarn, I knew that my husband would love the colors, and was happy to find that one of the patterns included was a “manly” one. 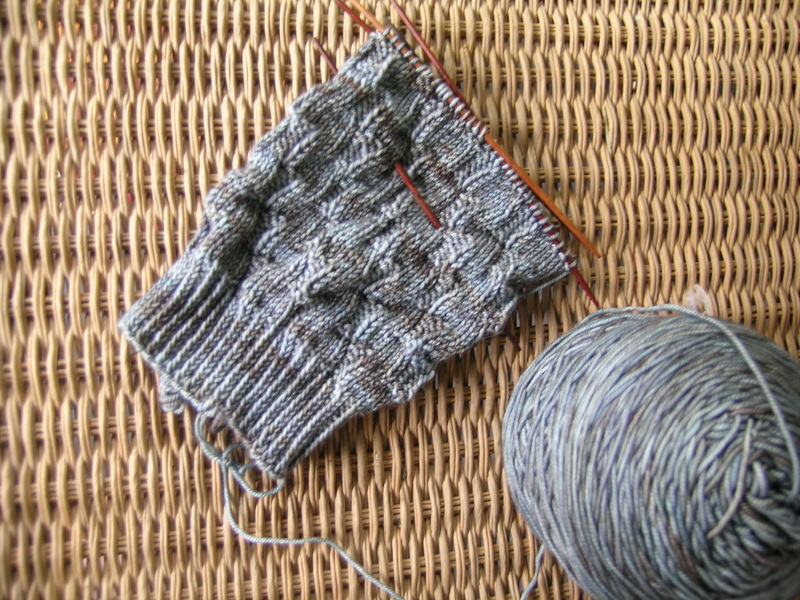 Made more progress last night, and I am almost to the heel on the first sock.